Kawamura K.(2005) "Low genetic variation and inbreeding depression in small isolated population of the Japanese rosy bitterling, Rhodeus ocellatus kurumeus." Zoological Science 22: 517–524. Kawamura, K., T. Ueda, R. Arai, Y. Nagata, K. Saitoh, H. Ohtaka and Y. Kanoh. 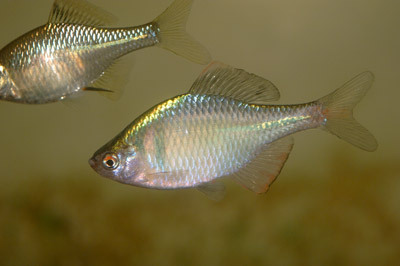 (2001b) "Genetic introgression by the rose bitterling, Rhodeus ocellatus ocellatus, into the Japanese rose bitterling, R. o. kurumeus (Teleostei: Cyprinidae)." Zoological Science 18: 1027–1039.